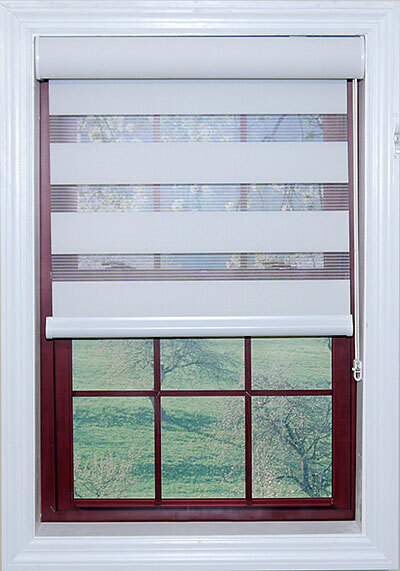 Zebra Shades, also known as Banded Shades are a fresh style of fabric window shades that are both beautiful and functional. 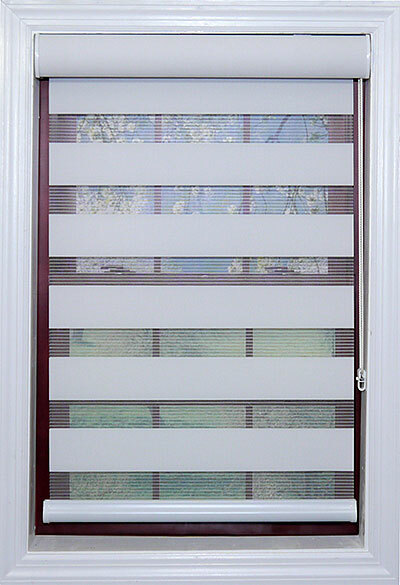 Alternating bands of solid and sheer fabric allow our Zebra shades to offer privacy, light control and an outside view based upon the position of the fabric bands. 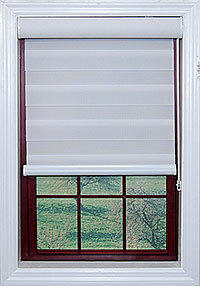 When completely lowered the shade will gently filter the light and offer privacy. 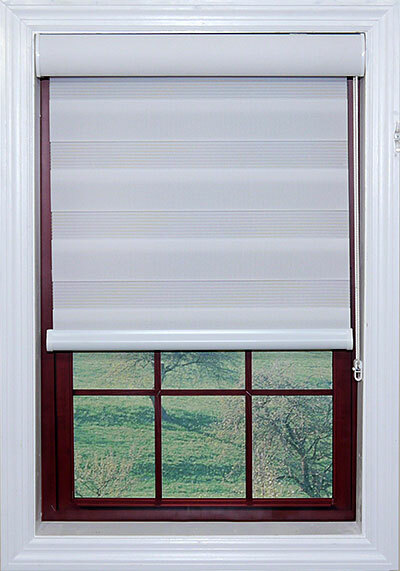 When fully raised the shade is completely hidden inside a fabric wrapped cassette valance and provides an unobstructed view. 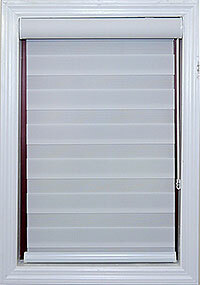 As the shade travels up and down the view to the outside alternates from semi private to private depending on your preference. Click the “Details” tab and watch our Zebra shade demo video to see the shade in action. Zebra shades are available in 3 colors and you can order Free samples below. 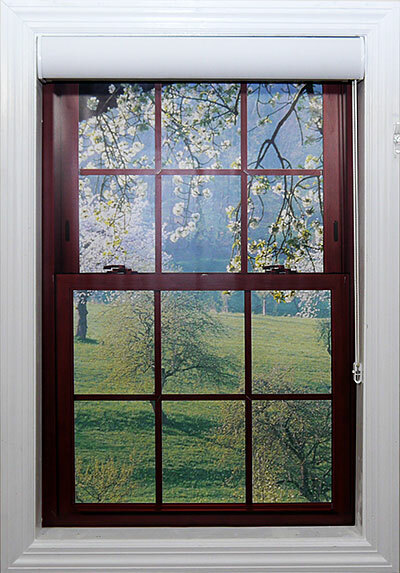 Zebra Shades innovative design provides the versatility of a privacy shade while allowing light to filter in as well as the option of viewing through the shade in almost any position. Cassette dimensions- height 3 inches, depth 3 5/8 inches. Fabric band dimensions- sheer 2 inches, privacy 2 7/8 inches. Cassette and bottom rail are color coordinated and made of aluminum not plastic. "I love these shades! 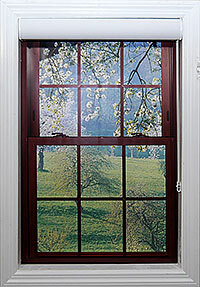 I put them in my living room and they are beautiful and I can still see outside if I want to,"